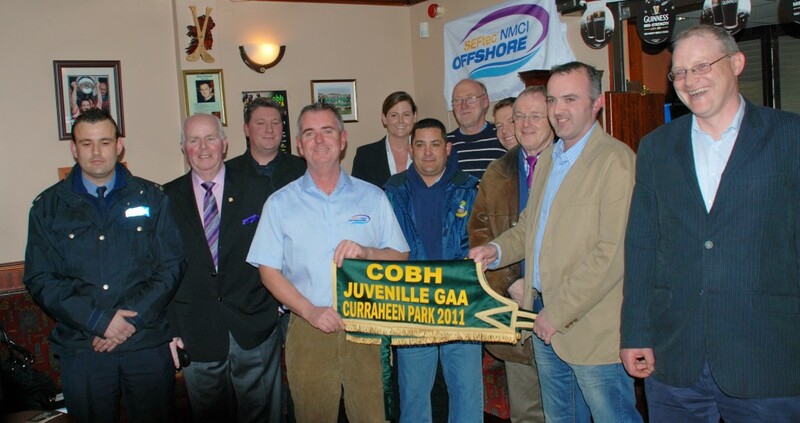 There will be a SEFtec NMCI Offshore sponsored fundraiser for Cobh Juvenile GAA held at the Curraheen Park Greyhound Stadium on the 6th of May. Mr. Tom Griffin, Head of Offshore Survival Training at the NMCI, launched the new fundraising drive on the 1st of April at Cobh’s Carrignafoy premises to help raise finance for defibrillator units at the club. It is very important to have access to defibrillators as Sudden Cardiac Death is 3 times more likely to occur among young people who undertake in sporting activity. He said as someone who has grown up a few hundred yards from the GAA club, he and his company are delighted to be involved in supporting the club and the young people of Cobh. Mr. Griffin also offered his personal time to undertake CPR classes in the club hall. May 6th is the kick off night for the ‘Night at the Dogs’, and SEFtec NMCI Offshore and Cobh GAA are confident that there will be a great turnout at the event.